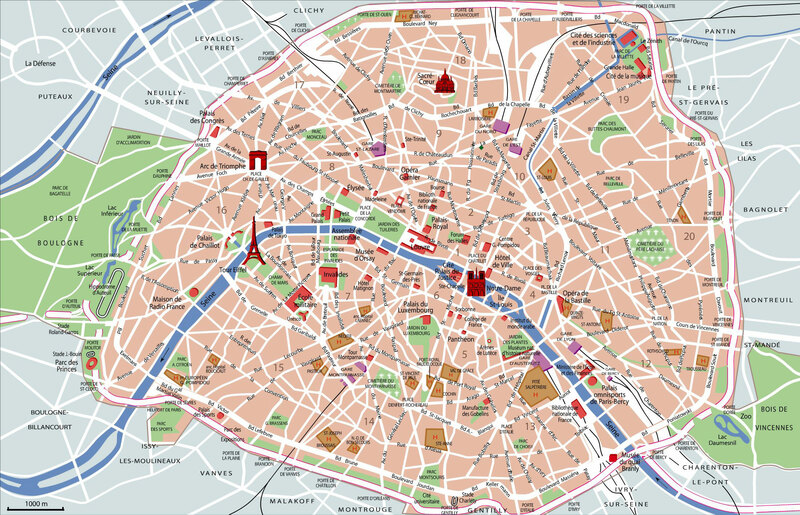 You can find on this page the map of Paris monuments, the map of Paris tourist buses and the map of Paris river bus Batobus. Paris is the capital of France and the most visited city in the world with 28 million tourists per year including 17 million foreigners. Thanks to its numerous monuments, museums, sightseeings, landmarks and attractions, Paris was declared World Heritage Site by UNESCO. 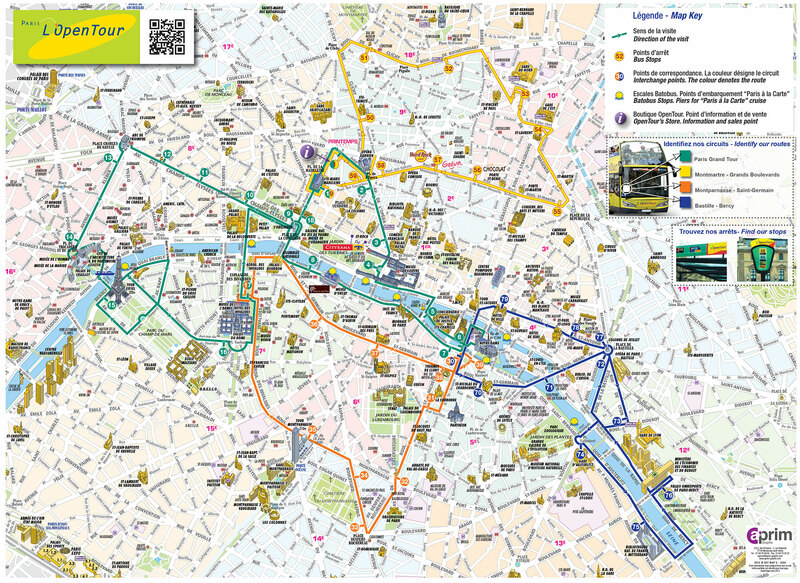 L'OpenTour of Paris is an original way of visiting Paris and discover its monuments, museums, attractions while getting on and off at your disposal. This concept of hop on hop off bus or open-top double-decker buses offers a network of 4 tourist tours and routes and 50 stops with commentary in 10 languages. The Big Bus / Cars Rouges is a second hop on hop off bus company with open roofs to discover the city of Paris via a tour. 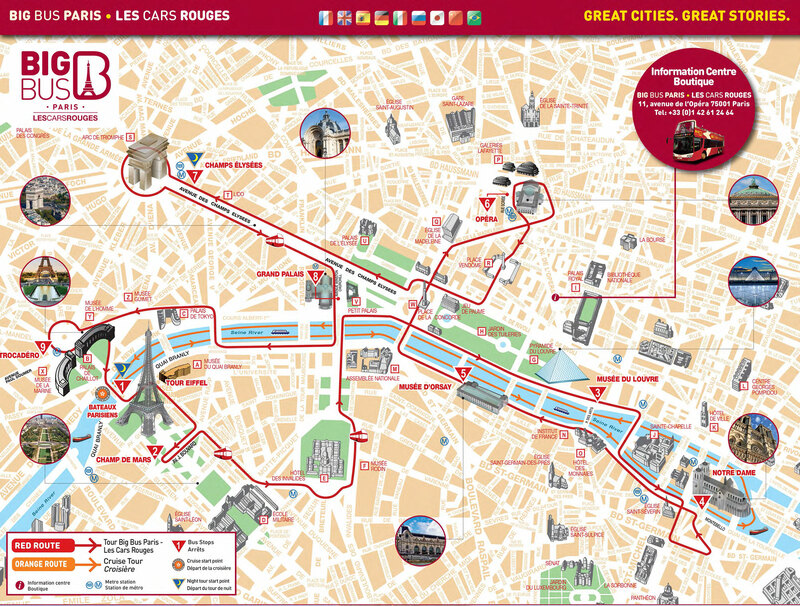 Big Bus offers 2 lines, a tourist bus line and a river cruise line on the Seine. Tours are commented in 9 languages. 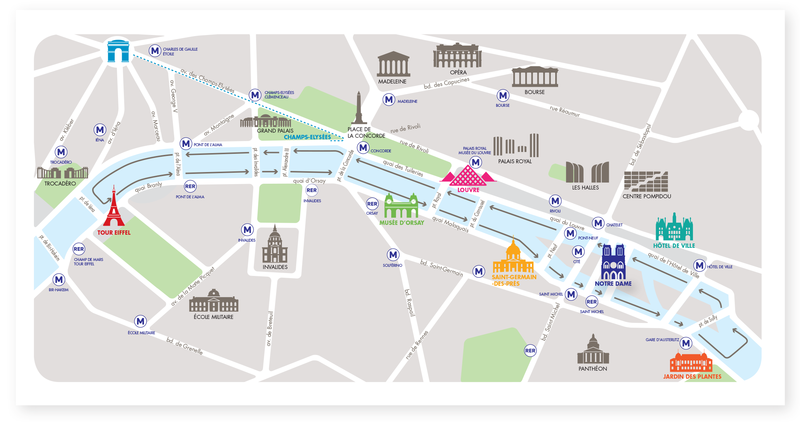 The Batobus of Paris is a regular river hop on hop off shuttle service transporting passengers on the Seine to visit Paris.